I have spent many years picking random items up; cleaning them, repairing and restoring them and returning them to where I find them. 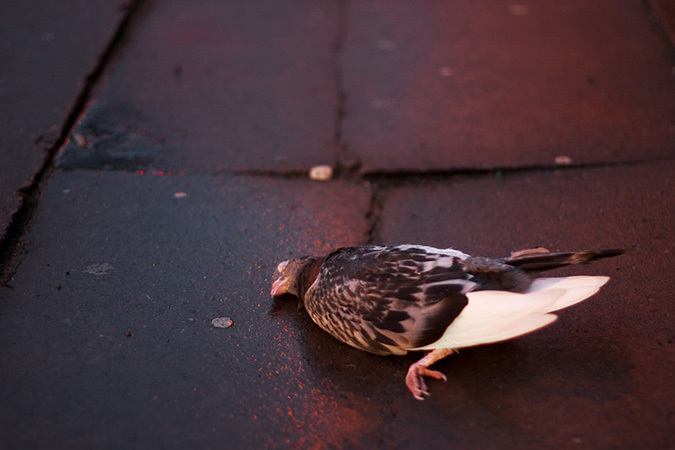 Chancing upon this recently dead pigeon that was so immaculate, lying on the pavement, readily compounded the futility of my actions. It didn't matter how aesthetically pleasing, or how much repair I invested in the things I sought to invigorate through this process of re-commodification, they were all inevitably destined to run their course, become obsolete and ultimately die. No matter what, sooner or later, they will have as much value afforded to them as a dead, if clean, pigeon.